Those who know this land best are the reindeer. 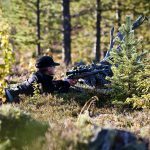 “A Forest Sámi wishes for warmth and plenty of mosquitoes. 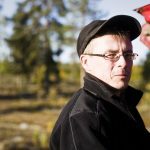 The mosquito is our most faithful servant,” says Per-Erik Kemi, reindeer herder in Gällivare Forest Sámi community. For thousands of years, the reindeer have been the most important animals for people in Laponia. 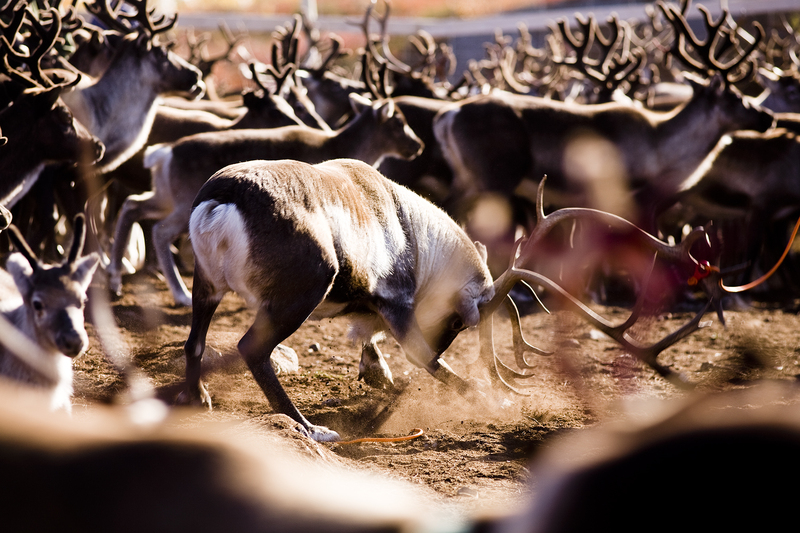 Today, reindeer herding is economically important and a basis for Sámi culture. 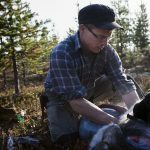 Even though reindeer herds today consist of privately owned animals tended all year, they are – in the words of the old Sámi saying – the property of the wind. The reindeer have been here since the end of the most recent ice age. On their constant migrations, the herds have foraged in these forests and mountains and the first people to arrive followed in the tracks of the animals. At strategic places along the flocks’ migration routes they built systems of trapping pits and scared the animals into them. The hunt gave more than just meat. The prey gave fur and skin from which they could make clothes, shoes and other things needed for survival. The reindeer were eventually domesticated. A domesticated reindeer cow could for example be used to attract other wild reindeer. But they were most useful for pulling and carrying everything needed on the continuous migration. When they started to trade with surrounding peoples, larger reindeer herds became of interest. Reindeer products then become something that could be bartered or sold. Reindeer herding in Sweden is carried out in 51 Sámi communities, nine of which are in Laponia. 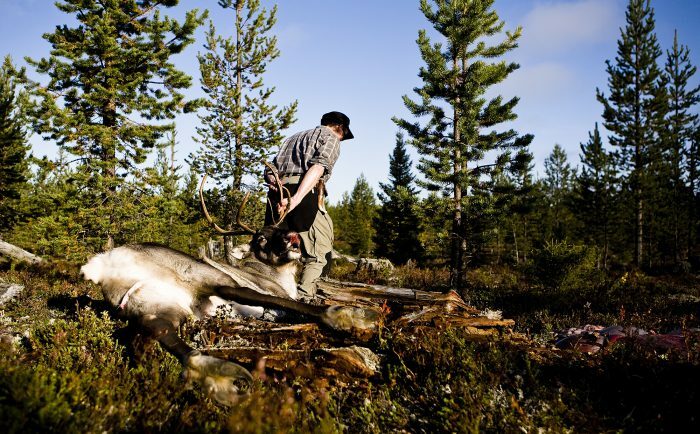 The members of the Sámi community tend their reindeer together and collectively year-round. Modern technologies such as GPS transmitters, helicopters and different off-road vehicles are common. Sometimes in winter when the reindeer forage becomes inaccessible to the reindeer, they are given fodder in enclosures. Formerly, when this was not possible, reindeer herds could die of starvation in a difficult winter. In a few weeks, the wind and weather could wipe out your entire herd. The expression that the reindeer are the property of the wind is perhaps not completely accurate today, but the reindeer and reindeer herding are very much dependent on untouched ground where the reindeer can forage. It is probably true that the reindeer was created before humans, or the Sámi. Humans were then created to follow the reindeer wherever it migrated. To work with it at all times and so make a living. The mountain reindeer and forest reindeer in Laponia are related to the wild reindeer in other parts of the world. The reindeer is an Arctic deer species which dates back as far as the mammoth. For thousands of years, the reindeer has been adapting to the polar climate. In severe cold and snow, the reindeer is a survivor thanks to its heat-insulating fur and hooves that are insensitive to the cold. The herding of mountain reindeer and forest reindeer is based on the former migrations and annual cycles of wild reindeer. 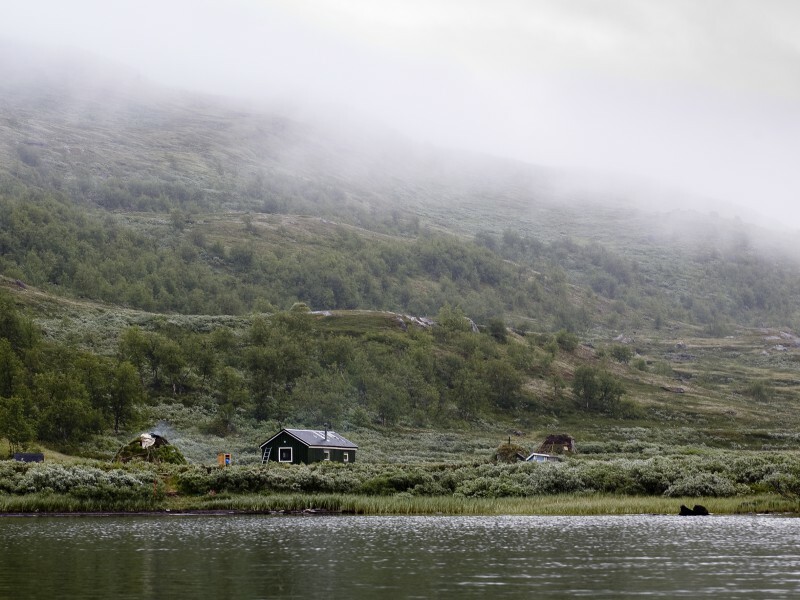 A Sámi community is both a big geographic area – which in certain cases stretches from mountain to coast – and an organisation for reindeer herding.